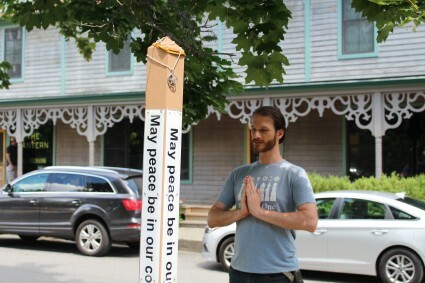 The Peace Pole is nestled in the hamlet of Wassaic. It was a gift to the community and planted years ago by staff of The World Peace Sanctuary. 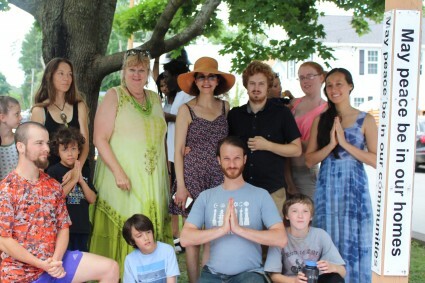 Ann Marie Robustelli of The World Peace Sanctuary, along with community members held a re-dedication Peace Pole Ceremony during the Wassaic Project Summer Festival, where thousands of people pass through and many camp out for the weekend long (Aug. 5-8) festivities. Heartfelt prayers were offered for the People of Japan who perished in the Bombings of Hiroshima (August 6th) and Nagasaki (August 9th) in 1945. 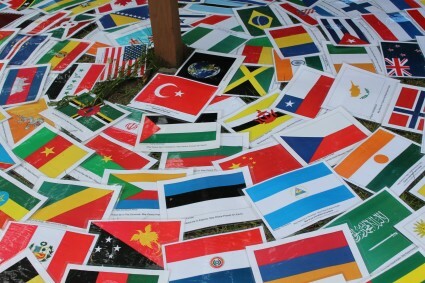 Special intentions of” Peace” were also expressed by participants for the upcoming USA Presidential Election.